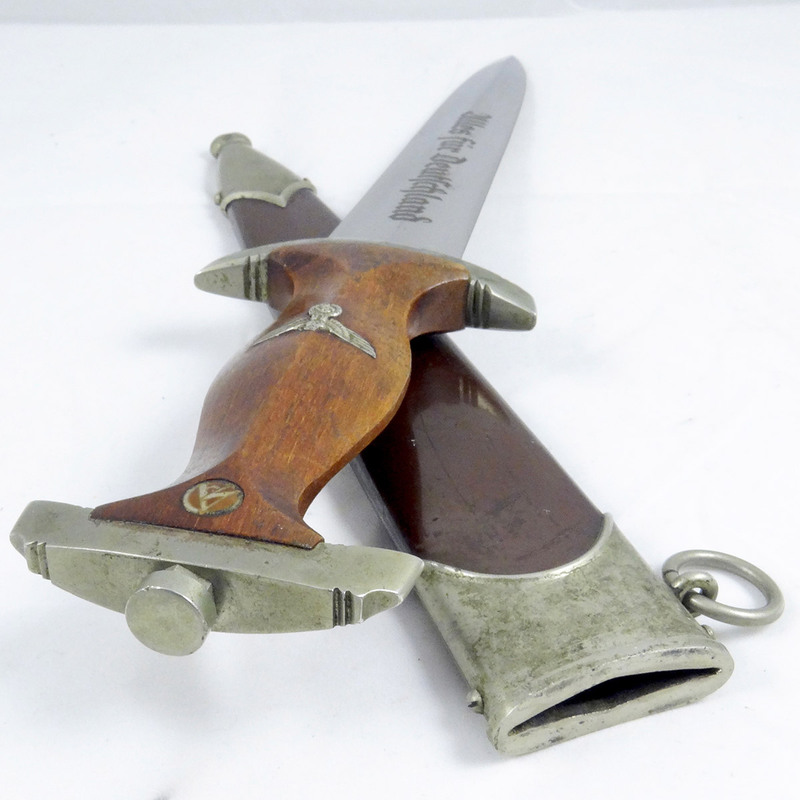 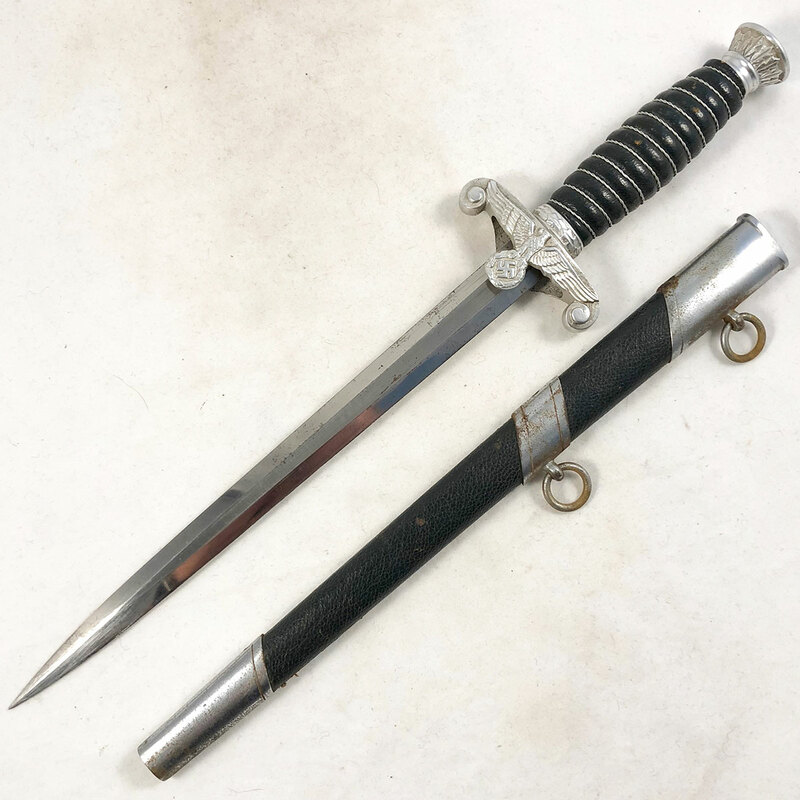 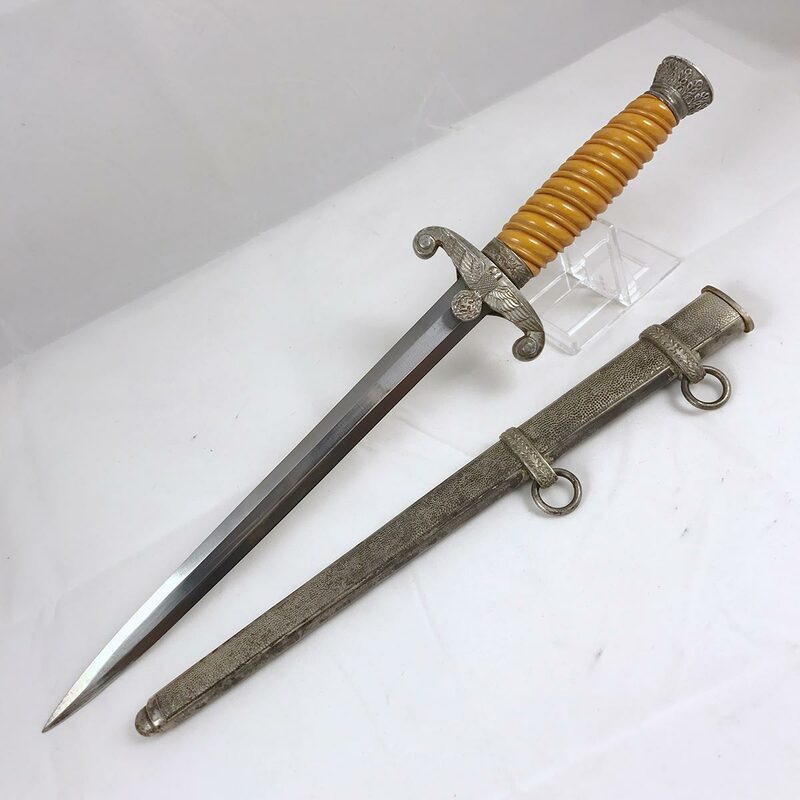 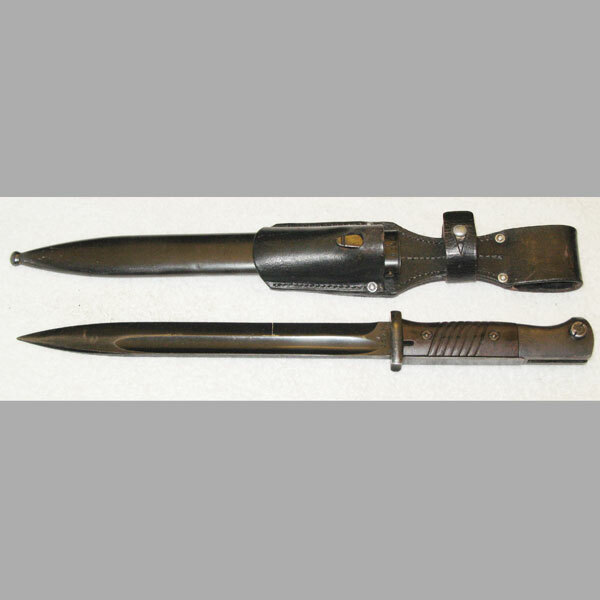 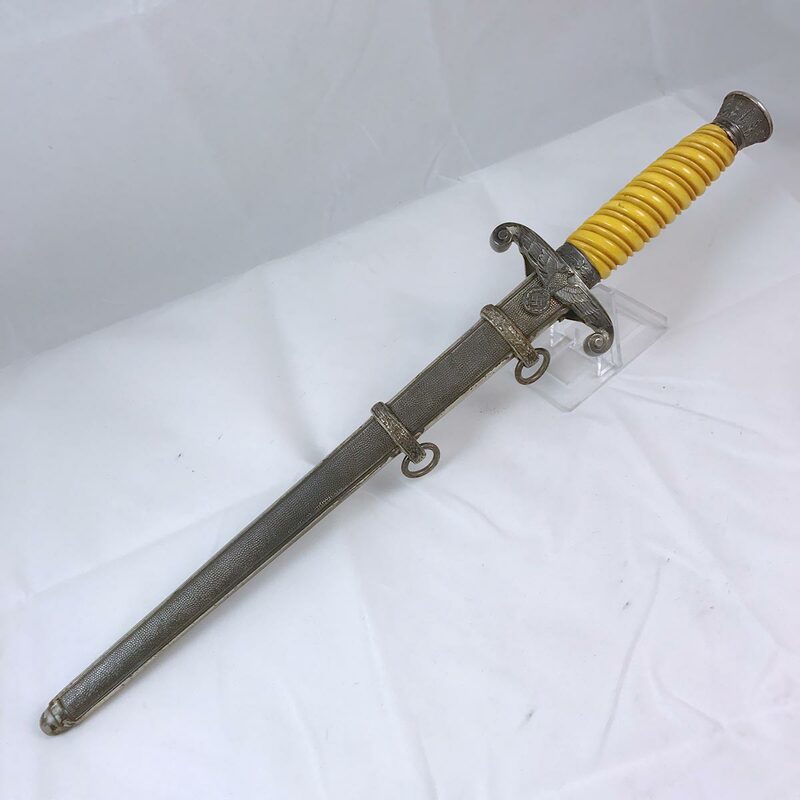 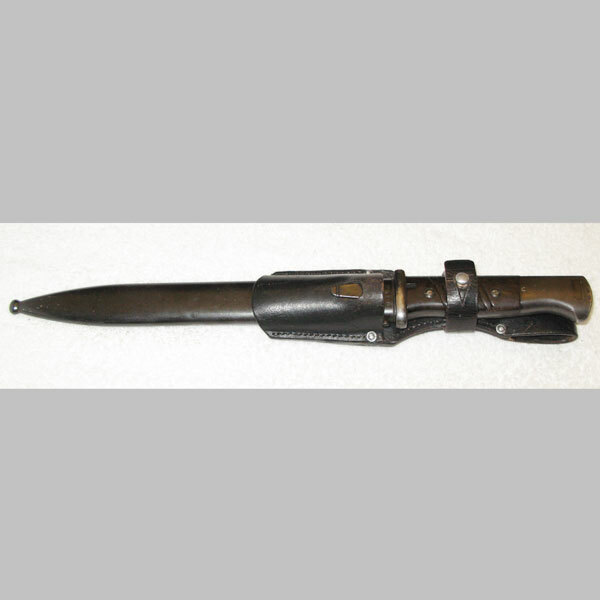 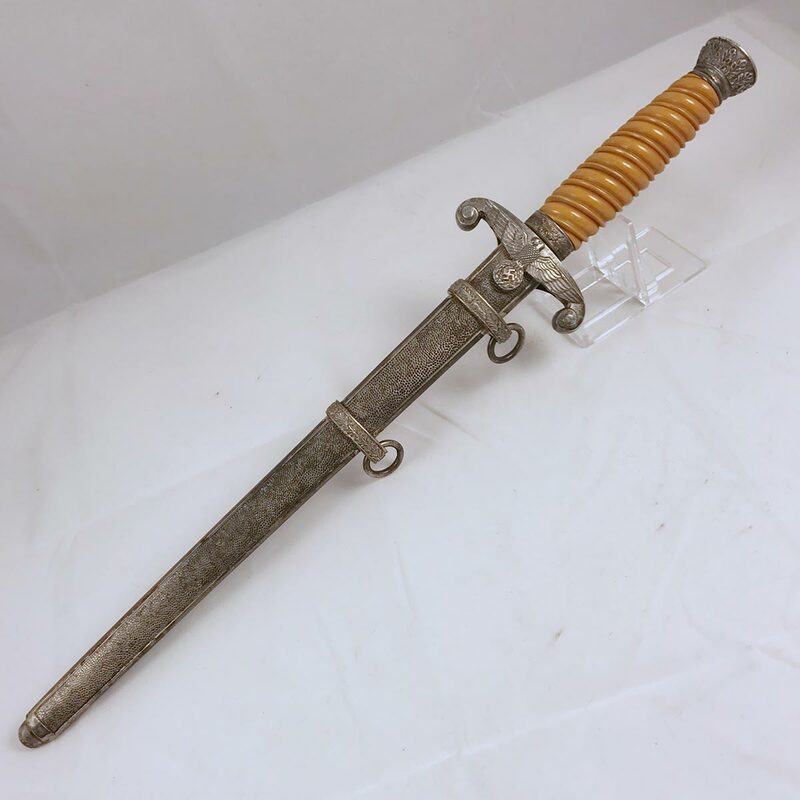 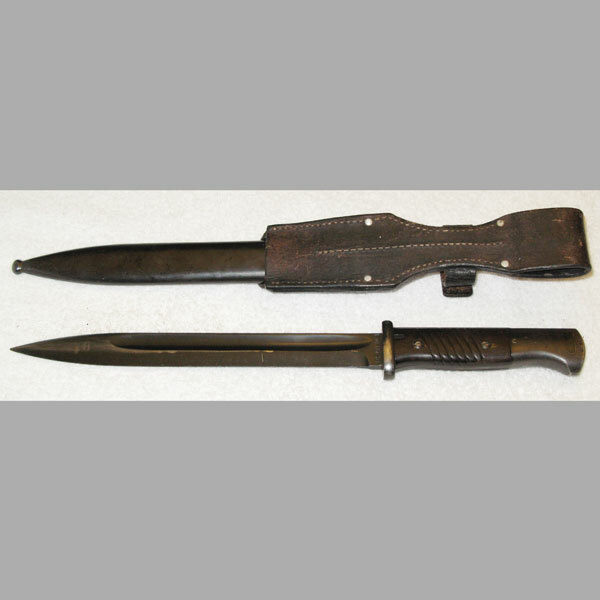 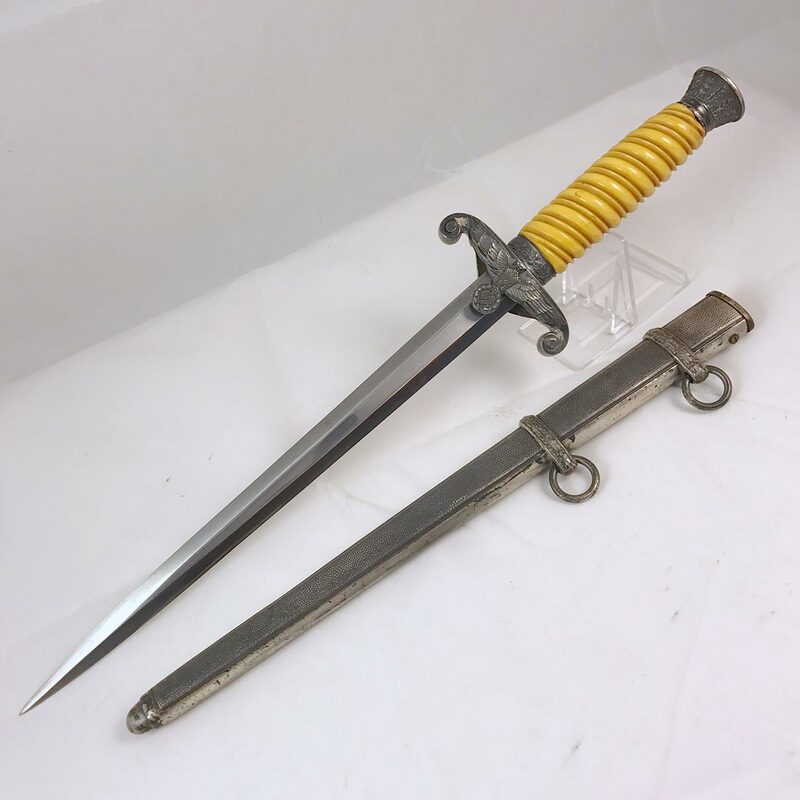 This is one of the nicest numbers matching WWII combat bayonet sets I’ve come across. 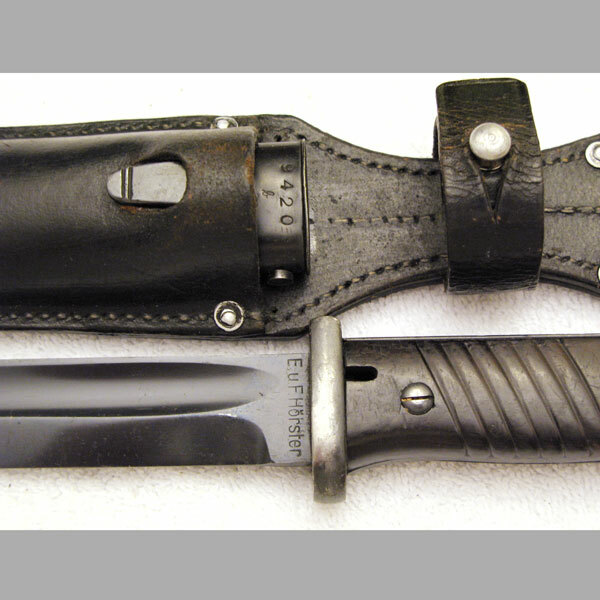 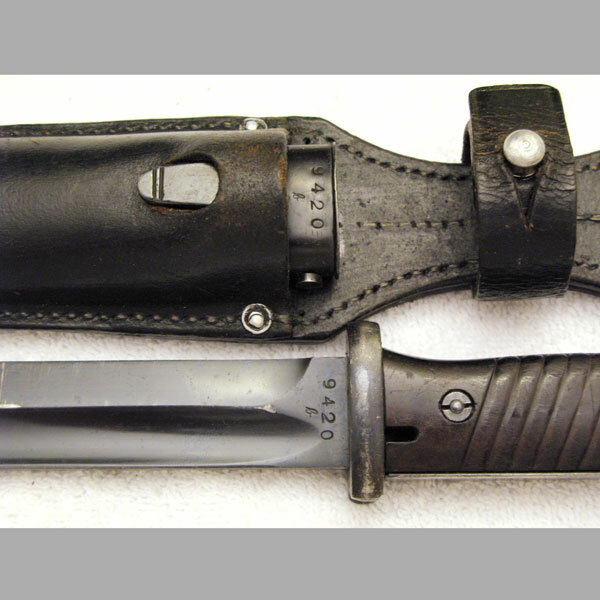 An E.u.F Hörster maker combat bayonet, with clear markings and 99% bluing on the blade. 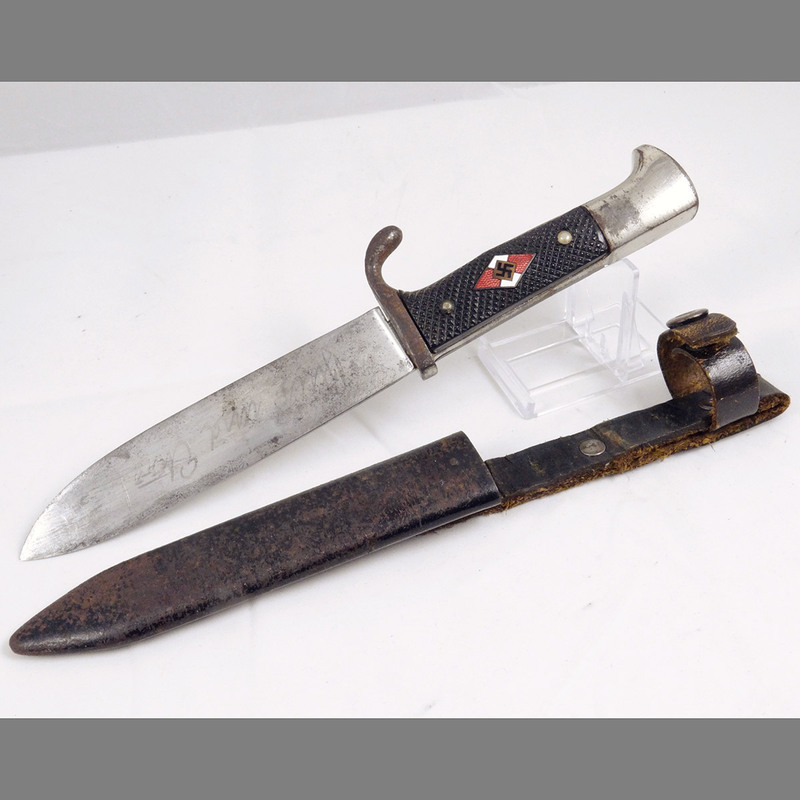 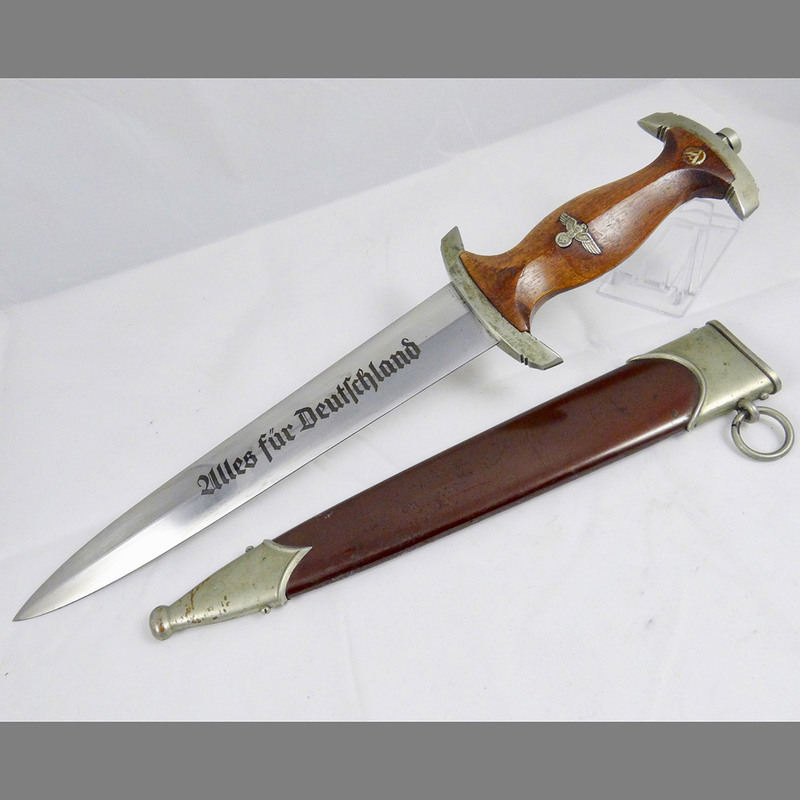 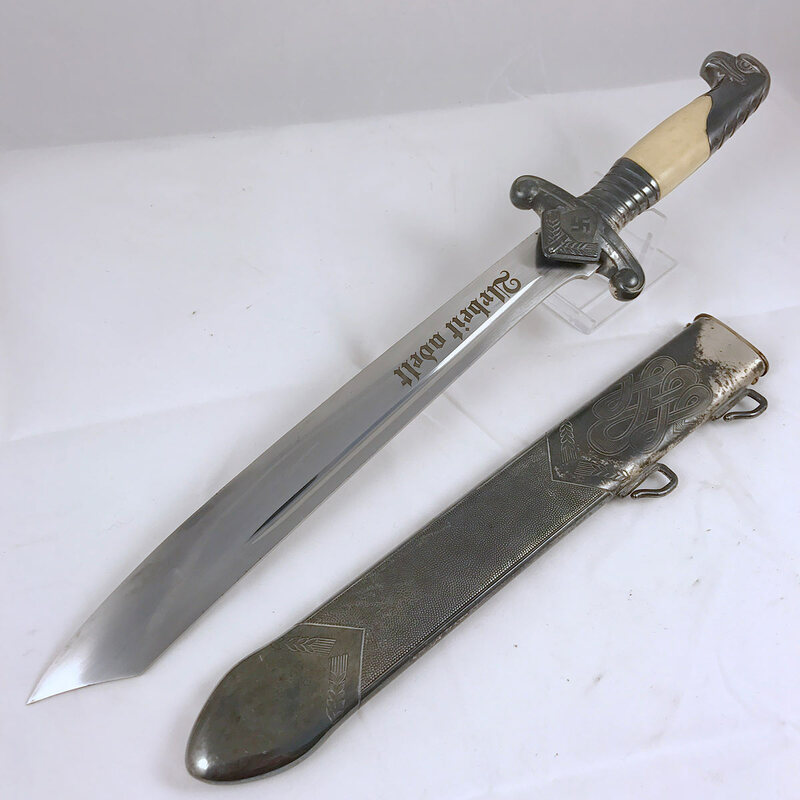 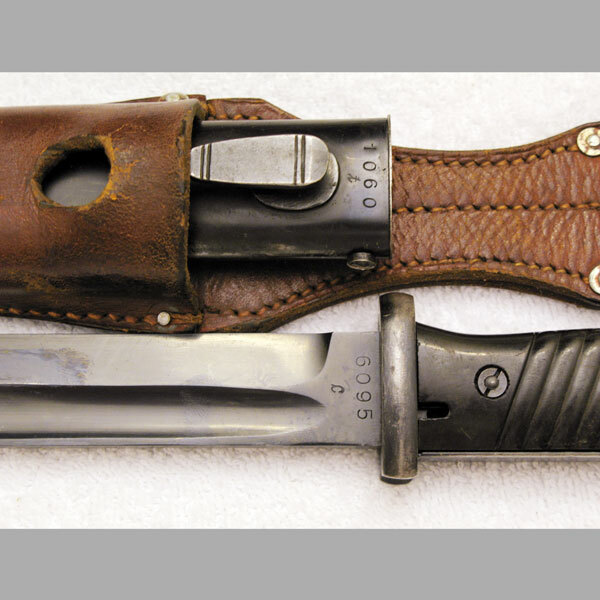 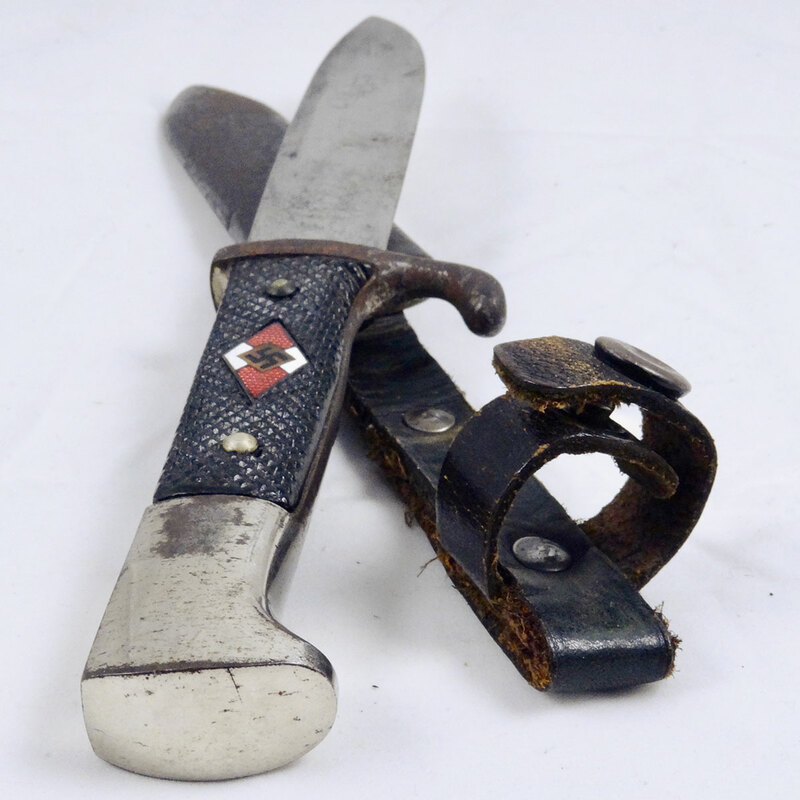 Markings include the E.u.F Hörster makers mark, “39” on the blade’s edge (denoting the year of manufacture 1939), and the number 9420b clearly marked on both the blade and the scabbard. 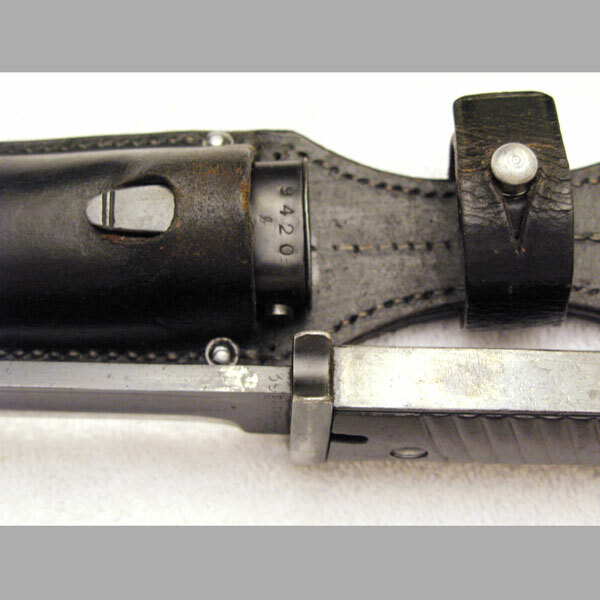 The scabbard retains about 95% of its finish, with only a minor ding and a couple very minor scratches worth noting. 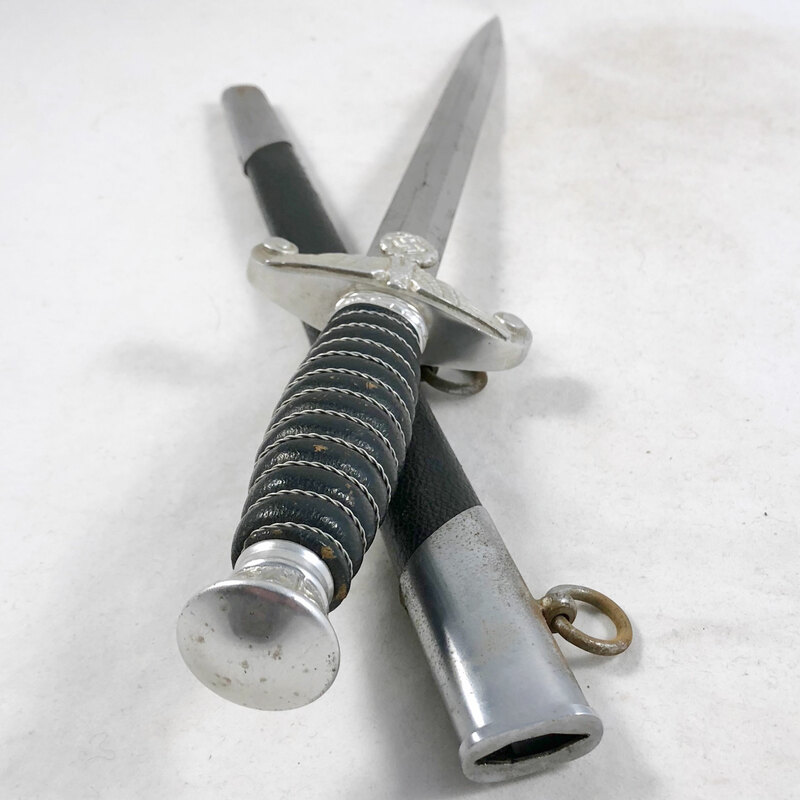 The frog has no notable markings. 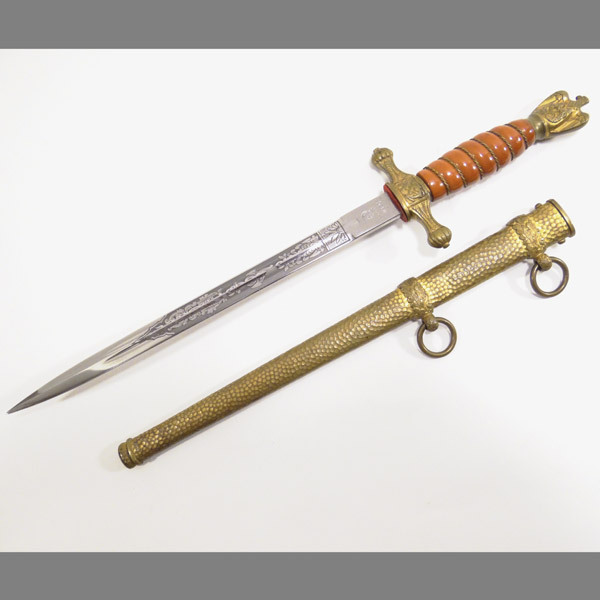 but is very firm and high quality; showing very little age.